$69 Mom's Famous Summer DRAIN CLEANING! Dutton Plumbing is proud to offer a complete range of top-quality plumbing services to homeowners throughout L.A. and Ventura Counties. Whether you need drain cleaning, trenchless sewer repair, water heater repairs, pipe replacement, or toilet unclogging, you can trust their highly-trained Simi Valley plumbers. No job is too big or too small for the Dutton Plumbing team—they can even assist you with comprehensive preventative maintenance to ensure that your plumbing system continues to function at optimal efficiency. Interested in water filtration or conservation? They handle that too, offering a number of safe, eco-friendly plumbing solutions for your home. 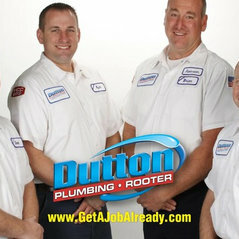 As a family-owned and operated company, Dutton Plumbing believes in providing unparalleled customer care. When you trust them with your Simi Valley plumbing service, you’ll be treated with the respect you deserve. 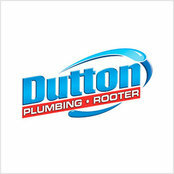 Every member of the Dutton Plumbing team is background-checked and screened, and they are fully licensed, bonded, and insured for your peace of mind. They’ve even received recognition for their commitment to excellence, including the North American Plumbing Contractor of the Year 2013 Award, the Service Nation Alliance Sales Service 2013 Award, and the George Brazil Trailblazer 2012 Award. Call today to learn more!